Round 10 of Fistful of Pencils is upon us and this time we went for quite an open theme compared to others to give us a bit more freedom. This time we all drew musicians, whatever that ended up meaning. As always, all three of us have Facebook pages where we post all this stuff, and sometimes other things as well! Please go ahead and “Like” us all here, here or here. Volo is a master of dissonance, obsessed with throwing together incompatible notes and savouring the discordant melodies produced. 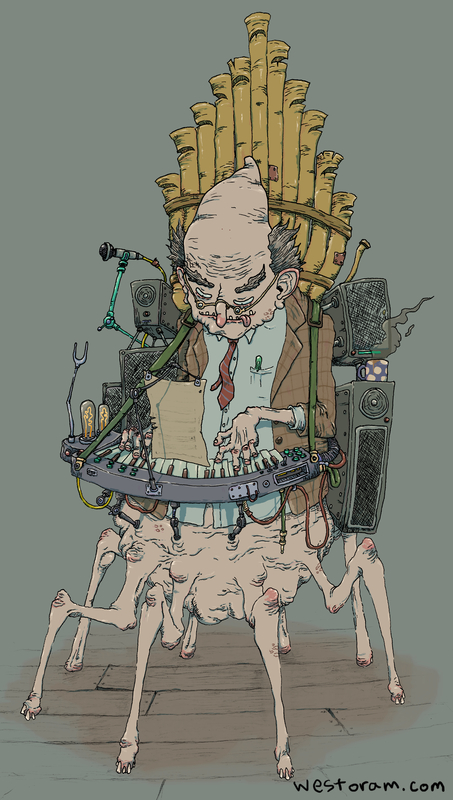 He picks out any particularly jarring noises he hears and samples them, filtered through his keyboard and amplified through the various speakers and pipes he has strapped about his body. At first listen the drones parping out of the organ pipes on his back, coupled with the squealing arpeggios he deftly hammers out on the keyboard, may seem like an entirely random cacophony, but every note is carefully placed to elicit as visceral a response as possible. Volo Kreethis concerts are always sold out well in advance, even though it’s well known that most of the audience will flee before the end of the first song. Sick bags are provided. 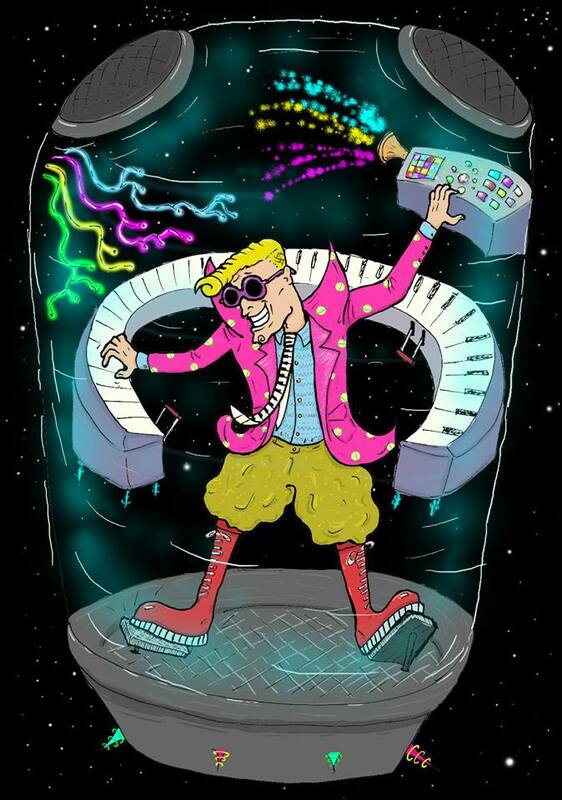 Hailing from the planet Brakakakaxxx in the Jangaxwa System, Maxxxxxxxx Volume zooms around the galaxy pumping out the hottest hits this side of the Xantar Gap! Maxxxxxxxx’s NEBULO POD is equipped with the latest in technology, ensuring every planet he visits is treated to an audio-visual feast! 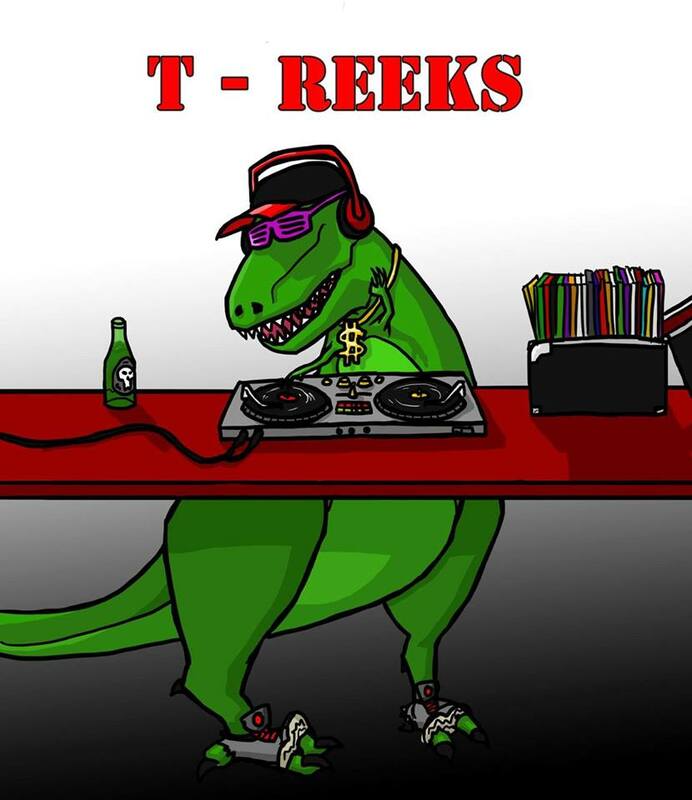 Check him out on Tour NOW! This entry was posted in Fisful of Pencils Battle Royale and tagged Cartoon, Challenge, Comic, Dinosaur, drawing challenge, Fantasy, Fistful of Pencils, Keyboard, Music, Musician, Organ, Piano tie, Sci Fi, Space, Steampunk, T-Rex. Bookmark the permalink.